I love reading the Psalms. In fact, I am about to embark on reading the whole book for the 4th time in just over two years. As Eugene Peterson has said, the psalms encompass the whole scope of human life in one book. And I am about to read it again for the first time! I have now read the Psalms through in the NIV, ESV and the MSG translations. 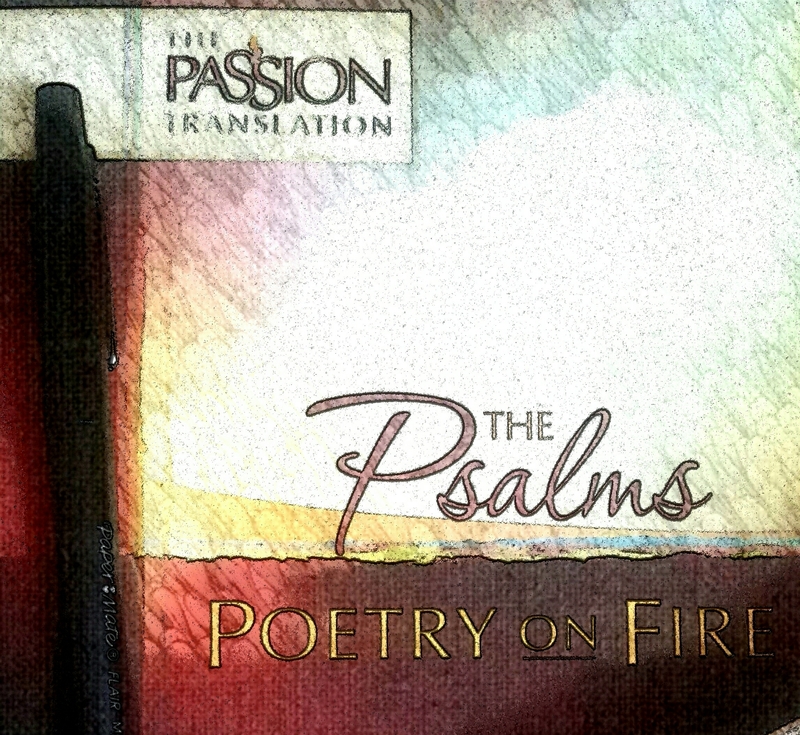 I am about to rack open the Passion translation, and I can hardly wait. For me, reading a different translation helps me take in thr Psalms afresh, and invite Him to speak through them to me again, as if it’s the first time! But even more than that becomes the way I am learning to see the Word as a whole interwoven through out the Bible, the more I study the Psalms. When I read Psalm 1:1 and am reminded how my delight comes from Him, it reminds me how much he has shown His love to Israel, His chosen people and how He delights in us, Zephaniah 3:17. How we can please God with our worship and praise the pleasing offerings mentioned in Numbers 29:2 & 2 Corinthians 2:15. David’s many psalms, including Psalm 62:8, remind me to be fully honest and pour my heart out like water before the Lord, again mentioned in Lamentations 2:19. I could go on and on, and I am so glad he continues to reveal Himself to us through His Word as we invite Holy Spirit to be our guide! For even though I am focusing on thr Psalms, the living Word is continuing to focus on me, a day reshape me as I interact with Him!